SWT is an engineering company with a focus on sanitary environmental engineering. We are planning end engineering for small municipalities up to towns, governmental and state companies, associations, federations, and for private clients. The planning services may include all phases and can be extended to supervision, maintenance, and monitoring. 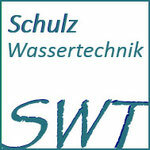 SWT does infrastructure projects on purifying drinking water and wastewater in Europe and overseas. Water reuse projects are especially of significance in MENA regions. Ask for our references.